An Australian mining entrepreneur has unveiled blueprints for 'Titanic II' - a modern replica of the ship which infamously sank 101 years ago. Clive Palmer said the ship will recreate the design and decor of the original, which sank on its maiden voyage after hitting an iceberg in the North Atlantic. There will be some modifications to keep it in line with modern day health and safety legislation as well as some 21st century comforts such as air conditioning. Unlike the original Titanic, the new ship will have more than enough space in its lifeboats for every passenger on board and it will have additional staircases. 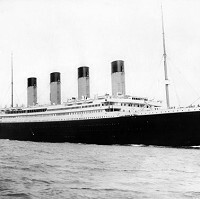 Some 1,500 people died in April 2012 when the Titanic sank. However Markku Kanerva, sales director at Deltamarin, the Finnish company designing the new ship, said it would be a very safe cruise vessel. Anyone taking a cruise holiday overseas may wish to consider the use of travel insurance to protect them from mishaps abroad.